Don’t all dentists treat kids? Worldwide recommendations are that children should visit a dentist by age 1. 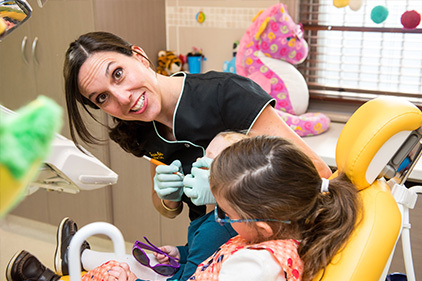 Establishing a long-term relationship with a trusted dentist gives children an oral health care home. 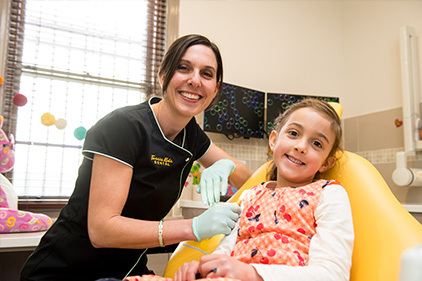 Here at Tassie Kids Dental we support families to make healthy oral health choices to benefit children for a lifetime. Advice is tailored to your child allowing timely preventive measures to be introduced. Unfortunately I see some children who are not even 2 years old, suffering from preventable dental problems such as decay. Why bother fixing baby teeth? Don't they fall out anyway? Baby teeth assist normal jaw growth and encourage the adult teeth into the correct position. A healthy set helps establish a lifetime of good oral health. Children deserve to have a healthy smile, and the ability to chew comfortably. Decayed or damaged baby teeth means children may suffer from of pain, and swelling. Research has shown that decayed baby teeth affected a child’s quality of life. Did you know that infected baby teeth remain one of the leading causes of emergency hospitalisations in Australia? 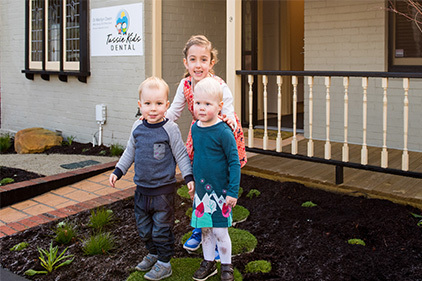 Although new technologies at Tassie Kids Dental make treatment as comfortable as possible for children, wouldn’t it be better if they didn’t need invasive treatment in the first place? The baby teeth Crowding in the adult teeth is more likely when teeth decay, especially following extraction. This means that orthodontic treatment (braces) may be more complex, take longer and therefore be more costly. What age should baby teeth fall out? Children may naturally lose their teeth anywhere from age 4 to 14 years. 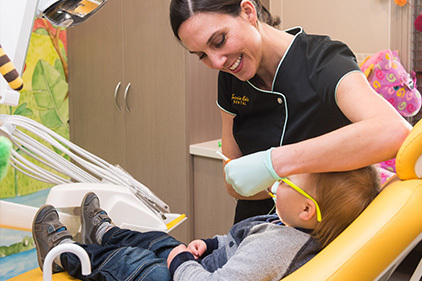 However, twice yearly examinations are needed to ensure the order and timing of tooth loss for your child is normal. Early or late tooth loss or the incorrect sequence of teeth being lost may be indicative of dental and / or medical problems. Dr Owen is highly skilled in identifying when things aren’t quite right. Early, accurate diagnosis is so important to help prevent problems from getting worse. Can't all dentists treat children? Can many things go wrong with my kid's teeth? Yes, for many reasons. First, immediately after the trauma, the severity of the dental damage will indicate whether emergency management is required. Even if a child doesn’t complain of pain, they may have damaged the gum or tooth leaving it vulnerable to infection. Long-term follow-up is essential because a traumatised baby tooth may die some time after the initial accident, and lead to pain and infection at a later stage. Chronic infections may not be obvious. When roots get infected this may lead to chalky adult teeth. Also after trauma, teeth may suffer fusion to the bone and affect the permanent tooth from coming through. So you can see there are so many reasons that these teeth need to be inspected clinically at the time of the trauma and followed up appropriately. X-rays may be required. If a health professional says not to worry about checking a traumatised baby tooth, please seek a second opinion.